How can I become more disciplined? How do I know if I m talented? Should I self-publish? These are just a few of the perennial and contemporary questions addressed in this delightfully different guide. The authors from different generations and writing genres first help the reader assess where they are on their path. They then walk aspiring writers through five universal stages Dream, Draft, Develop, Refine, and Share. While these stages apply to writers of every stripe, the emphasis is always on the reader navigating his or her own challenges, process, and goals. Insight-producing prompts and the wisdom of diverse artists (from Steinbeck and Thoreau to Spike Lee, Marilyn French, and Tom Clancy) help make every writer's journey of creation as rewarding as its destination. Dan Millman is the author of 17 books read by millions of people in 29 languages. He teaches worldwide and lives in Northern California. 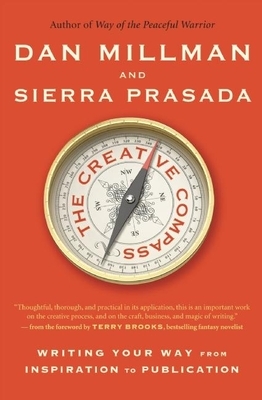 Sierra Prasada is a freelance journalist, editor, and teacher; the author of Creative Lives; and the founder of the 20th Century Project. She lives in Washington, D.C.